If you are a writer, poet, novelist, or have a small business, a website is required today. This course takes you step-by-step through the process of setting up your own site, helping you learn how to create content and share it through social media from your site for free. Courses like held in Portland normally cost over $400. This is a rare opportunity to learn how to blog and build your own website right here in Washington County, and know that the proceeds go to a good cause. Register in person with check or credit card, or by phone with the Forest Grove Community and Senior Center at 503-357-2021. 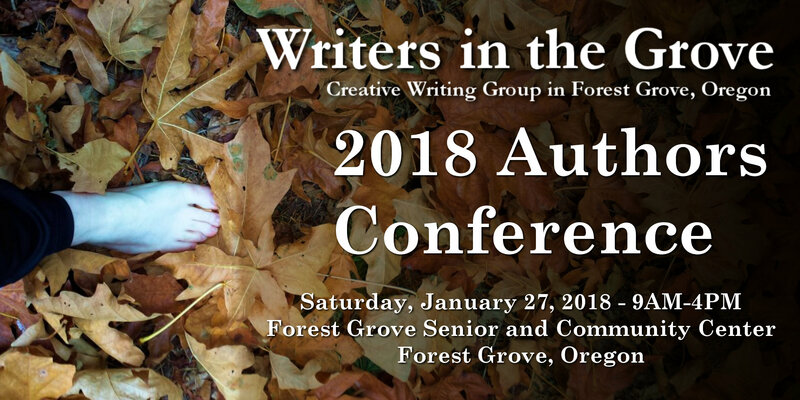 Writers in the Grove, Forest Grove community creative writing group, presents a 4-week workshop, called “Website Building WordPress Workshop,” beginning September 11, 2017. It runs for four consecutive Mondays from 6:30 – 9:00 PM at the Forest Grove Community and Senior Center in Forest Grove, Oregon. The course is taught by WordPress instructor, Lorelle VanFossen of Lorelle on WordPress. She has taught WordPress, blogging and social media from the beginning to college level since 2003, and is the long time senior editor of the WordPress Codex, the online manual for WordPress users. The four-week workshop is only $125 per person, a savings of almost 75% off the normal course fee. The workshop on WordPress covers the basics on WordPress features, content management, social media integration, blogging, and design and layout with veteran WordPress trainer and instructor. It is ideal for writers and authors, small business, genealogists, and those who wish to share their thoughts and skills with the world. Prior web publishing experience not required. Familiarity with web browsers (Firefox and Chrome only) and email is highly recommended. There is limited space for this special event so register now to guarantee a seat. You do NOT need a WordPress site. You will set one up on the first day of the course. If you have one, you will learn how to fix it up and improve your web publishing and WordPress skills. You will need to bring your laptop, power cord, mouse (with extra batteries), and something to write on and take notes. You will log into the free WIFI at the Center so ensure you know how to do this before you arrive, or arrive early to get help getting online. It is highly recommended that you bring a water bottle, too. There is plenty of free parking at the center. More information, contact the Forest Grove Community and Senior Center. Register in person or by check or phone with the Forest Grove Community Center: 503-357-2021.